Starting a blog is one thing; maintaining it and making it successful is another. Setting concrete, SMART blog goals is a vital component of your blog’s success. Today, we’ll take a look at how to create SMART blog goals that will place your blog on the road to success. Building a blog from the ground up can be difficult, but creating content for it, growing it, and establishing it as an income stream are a whole advanced category of complexity. It’s easy to be overwhelmed by the numerous tasks involved, and believe me, sooner or later you’ll get to a point where you’ll think that it’s easier to simply up and quit than to keep plodding on. However, if you formulate goals early on, you’ll be less likely to quit. Your goals serve as the checkpoints on your road to a successful blog. 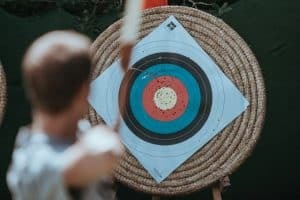 Bloggers who set goals (and stick to them) will be way more successful than bloggers who don’t have any goals or bloggers who have ineffective goals. Today’s article is all about blog goals: why set them, why they need to be SMART, and how to set them. Plus, don’t forget to download your FREE worksheet at the end. 1. Write down your long-term vision for your blog. 2. Break them down into smaller goals. 3. Plug in important deadlines in your calendar. 4. Track your goals and evaluate your strategies at the end of each month. 5. Revisit your goals every year. Okay, so you know that blog goals are crucial to your success, but you’re probably wondering why it’s so important. 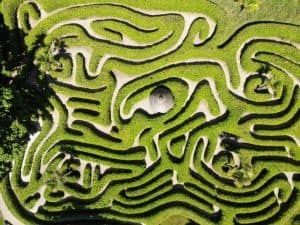 Think of blogging as a labyrinth; plenty of starting points, infinite twists and turns inside, and plenty of exit points. 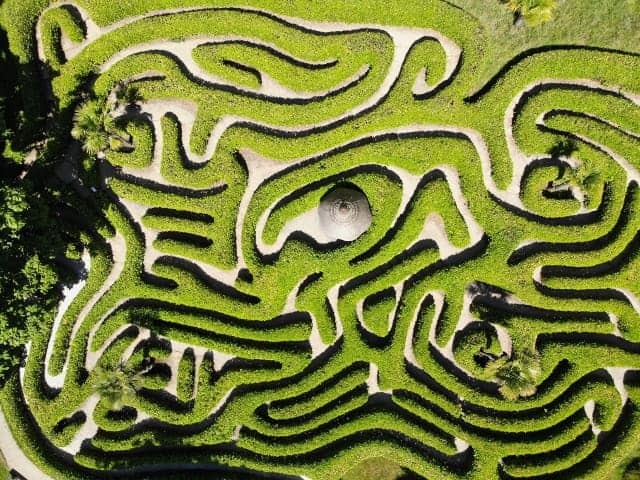 Instead of mindlessly wandering around in the labyrinth, goals give you a definite starting point, directions you’re going to follow once inside, and a definite exit point. 2. Goals help you become more motivated. Holding yourself accountable and defining exact deadlines helps you overcome the urge to procrastinate. It’s easier to be inspired to blog when you’re working toward a concrete target. 3. Goals give you something to look forward to. There’s nothing like that sense of accomplishment when you achieve a goal. Knowing that you’re working for a purpose makes you look forward to it instead of dreading your workday. Plus, crossing off a goal can boost your self-confidence, affirming that yes, you’ve got what it takes to be a successful blogger. 4. Goals give you a yardstick to measure your progress. Toiling day in and day out without knowing whether you’re getting somewhere is going to get old at some point; it’s a one-way ticket to burnout. Having definite benchmarks helps you know how far you’ve come since you started and keeps your head in the game. TL;DR: Formulating blog goals does wonders for your mindset and conditions you for blogging success. There’s a reason why SMART is in block letters. And no, it’s not because my keyboard is out of whack. Creating your blog goals doesn’t mean merely writing down random to-dos and targets. You want to set effective goals that you can evaluate so you can keep growing your blog. When it comes to effective goals, the SMART framework is the gold standard; you’ll find articles that use it in every aspect of life that you need to create goals in: financial, career, business, even personal. SMART is an acronym that stands for Specific, Measurable, Attainable, Relevant, and Time-bound. An effective goal is all of these 5 attributes. Let’s take a deeper look at what it means to have a SMART goal. Useful goals are never ambiguous or vague. Narrow down your goal into a clear, concise goal that you can focus your efforts on. Not specific: Improve my blog posts. Specific: Improve my blog posts by adding more visual elements like images and photos to make them more engaging. Not measurable: Increase traffic to my blog. Measurable: Increase traffic to my blog by 5%. Too many bloggers fall into the trap of setting fantastic goals for themselves, and then getting disheartened when they don’t achieve them. It’s not wrong to aspire to be the next Neil Patel or Seth Godin, but expecting to get to their level in a year is simply setting yourself up to fail. Be kind to yourself; don’t make the same mistake. Specify feasible targets for yourself that stretch your abilities but are still doable and set yourself up to win. Not attainable: Gain 10,000 new followers on Facebook in your first month of blogging. Attainable: Gain 100 new followers on Facebook in one month. Also, it’s possible that a goal is related to your general objectives, but the timing and circumstances are off. In this case, that goal still doesn’t count as presently relevant. 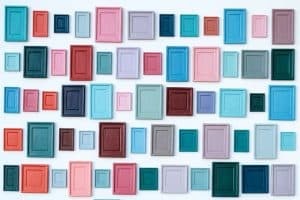 Not relevant: Optimize your opt-in forms to increase signup rate (while increasing your signup rate certainly is a good thing for growth, it doesn’t help you reach new audiences). Relevant: Create content in a medium you’ve never tried (e.g., video or podcast) to reach new audiences. Not indicating a target date for a task is an almost surefire way to not get it done. Ever. Your goals need to have deadlines that you can work toward. Plus, it helps you prioritize more urgent tasks (i.e., the ones whose deadlines are coming up) over not-so-urgent ones, reducing overwhelm. Not time-bound: Spruce up the design of the homepage so that cornerstone blog posts and opt-in forms are emphasized. Time-bound: Redesign the navigation bar, add cornerstone blog posts to it, and change the sidebar opt-in form to a welcome mat by the end of the month. 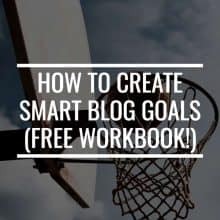 Now that you know why you need to set blog goals and how the SMART framework can help you create effective, it’s time to push the pedal to the metal—or pen to the paper, or fingers to the keyboard—and create blog goals that will put you on the path to a successful blog. 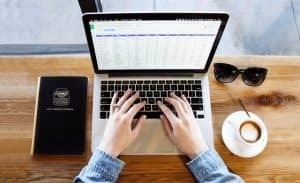 What would you consider a successful blog? Is it a blog that earns a steady income of $X a month? Or is it a blog that lets you be as creative as you can while providing value to others? Have you been blogging for a while and want to steer your blog in a new direction? Or you want it to stay the course but experience growth as well? Are you a part-time blogger who wants to make it full-time in a year and make it your sole source of income? Or do you still want to prioritize your day job and just have your blog as a secondary project with some side income? The first step in setting your blog goals is to write down whatever you want to achieve out of your blog. 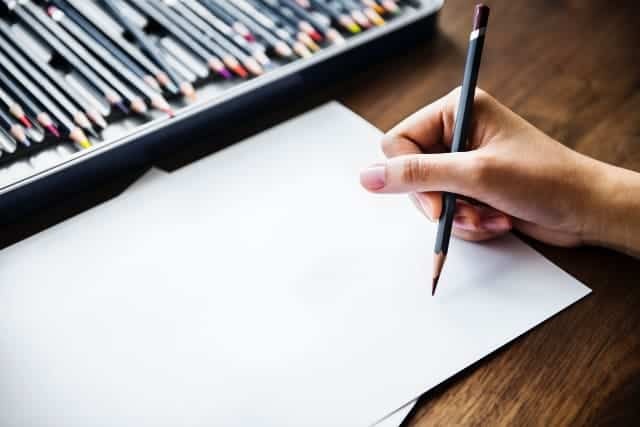 Literally writing them down, as in using an actual pen on paper, can help the goal be a tangible one and conditions your mind that it is a concrete, achievable vision. At this stage, don’t constrain yourself with a time limit. There’s no way to predict when success will come, so what you want is a solid plan for the future. When you think of what you want to achieve for your blog, it’s easier to cut that up into manageable chunks and get those chunks done one by one. If you’ve only started with your blog, know that the most important goals are your goals for the first year, because those goals, and whether you achieve them or not, can affect your future goals, the overall direction of your blog, not to mention your mindset and motivation. The first year is going to be mostly setting up your blog and laying the groundwork for all your future goals and tasks. Here are examples of first-year goals. Have a total of 2,500 page views. Have at least 350 email subscribers. Post at least 50 articles, 1,000 words to 1,500 words in length. Publish at least 2 monster blog posts with more than 3000 words. Collaborate with at least 6 influencers (through a guest blog, roundup, interview, or joint webinar). Have at least 500 followers each on Facebook, Twitter, and Pinterest. Notice how all of these goals are specific, measurable, attainable, and time-bound. As for relevant goals, you’ll have to go back to your long-term blog goals to determine which goals are relevant and which ones aren’t. Have at least 100 page views in the first month, and then grow it 10% per month. Have at least 15 email subscribers in the first month, and then grow it 10% per month. Post at least 4 articles. Reach out to 5 influencers per month once your blog has at least 10 published articles. Work on monster blog, writing at least 500 words a month on the topic. Run a different social media campaign every 2 months. Weekly goals allow you to work toward your monthly goals. For instance, if one of your monthly goals is to publish at least 4 articles a month, then your weekly plan for it is to publish at least one article a week. Again, you can also write down your strategies to reach your monthly goal. For example, if one of your monthly goals is to grow your page views by 10% per month, your weekly goal can be trying different techniques to increase blog traffic per week. For instance, you can try creating an infographic and sharing it on Pinterest and SlideShare in the first week and then creating an article connecting a hot topic in your niche to a hot topic in the news in the second week. Try hosting a blog contest the third week and then turning one of your posts into a video post or a webinar. Help yourself focus daily by starting the day with a list of your top 3 tasks each and every day. As with the above, scaled-down goals, daily goals must still lead to the right direction. For example, if you want to publish a 1,500-word article weekly, you’ll need to write at least 300 words daily. 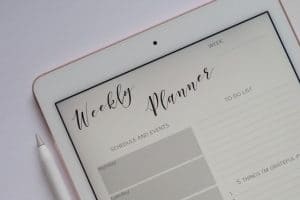 Use a traditional desk calendar, a scheduling software, your smartphone calendar, or all of them to take note of important dates and deadlines. You don’t have to put in ALL of your deadlines in your calendar (that’s taking the time-bound aspect of SMART a little too far); just the ones that matter. Other important deadlines can include deadlines for submissions of guest posts, start and end dates of contests or promotions you’re running on your blog, and the end of each month to evaluate your monthly goals. Also, setting up reminders or alarms when a deadline or important date comes up will help you stay on top of everything. A spreadsheet for each day, week, and month can help you track as well as organize your goals in one file where you can easily see all of them, mark them as achieved or not achieved, and comment on what factors contributed to the achievement or non-achievement of those goals. For the goals you weren’t able to achieve, be as honest as you possibly can when doing your assessment. Was your strategy too ambitious or too dependent on other factors? Did life get in the way (e.g., personal crises, major life events, health issues, and the like)? Or did you simply underestimated the tasks you needed to do to achieve these goals? Whatever happened, it’s important to understand it fully so you’ll know what to do to correct it. You can either rethink your strategies to achieve those goals or reconsider your goals. If you managed to accomplish your goals or even overshoot them, you deserve to do a celebratory dance. Heck, treat yourself to an indulgence you rarely get to have (for me, it’s Belgian chocolate, but I digress). After you celebrate, assess these achieved goals, too. What went right? Does it look like coincidence or luck? Was there a fortunate sequence of events? Or did you do something that actually worked? Can you replicate the same success in the next months, or is this a fluke? Again, whatever happened, it’s important to analyze what happened so you can continue your success in the following months. At the end of the year, reexamine your long-term goals for your blog and see if you feel any differently or if you want to stay on the same road. Things change, and your plans may change. You may have initially planned for blogging to be a hobby and earn enough side income to maintain it, but you might end up making more than you expected and you might then want to blog full-time. Or the opposite could happen; you may have wanted to monetize it when you started, but you might end up wanting to pursue something else and abandon your blog or simply stop actively monetizing it. You might be running a sweet e-commerce gig on your website, but you might want to pursue affiliate marketing on the side or entirely, or vice versa. Whether or not your long-term goals stay the same, it’s time to repeat the cycle of SMART goal-setting; start from the first step again and work through the year knocking those goals down. Having goals is one thing, but sticking to them is another. Here’s how to make sure you follow through on the goals you painstakingly drafted. 1. Keep your goals visible in your workplace. Writing down or printing out your goals and displaying them where you can see them prominently helps a lot in getting you motivated. Constant reminders will help you commit to them. 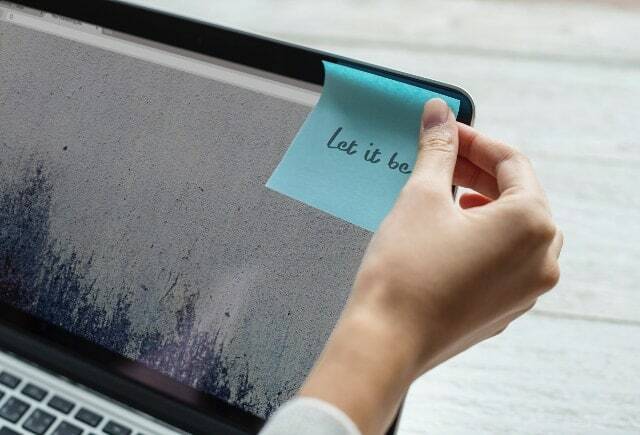 Don’t knock a classic: sticky notes on your monitor will work just fine. 2. Don’t take on too many goals at the same time. Being overwhelmed from dozens of tasks is what you were avoiding when you decided to set goals, so limit yourself to working on 3 goals in a month. Creating 3 goals and failing at one of them is much better than creating 10 goals and failing at all of them. 3. Focus on your priorities. Once you’ve decided what you’re going to prioritize, make sure you focus on those. Draw strong, clear boundaries between your priorities and other tasks that are not priorities. Otherwise, your “non-priorities” will interfere with your work on your actual priorities. 4. Find a blogging tribe. Telling other people about your goals makes you work harder to achieve those goals because it keeps you accountable. People who know about your blog will inevitably ask you how you’re doing, and sometimes that’s enough to compel you to do your best. Also, it helps to have people to confide in when the going gets tough and you’re feeling frustrated or on the verge of giving up. Family and friends can be extremely helpful, especially when it comes to the cheerleading part. But if you want confidants who know a thing or two about blogging and who can empathize with how you’re feeling, finding an accountability group could work better for you. Just a caveat, though: if you join (or maybe even initiate!) an accountability group, only welcome constructive criticism. If at any point your interactions with your tribe become toxic, never feel guilty for leaving the group. Remind yourself that the point of a tribe is to uplift each other, not tear each other down. Building a habit takes time; the key is being consistent. Producing and polishing content, building traffic, promoting your content via email and social media, all these things need to be done consistently for you to get real results and real growth on your blog. Now’s not the time for commitment issues. You need to develop an attitude that you’ll show up every single day and stick to the plan you made, no matter what. Your blog doesn’t need to be your number one, but if your blog isn’t a priority in your life, your blog will stagnate and will become just another abandoned blog. Blogging isn’t as simple as sitting down in front of your laptop and typing away. You can certainly start like that, but that type of approach can quickly become overwhelming and self-defeating as you find yourself meandering aimlessly and merely reacting to trends instead of actually having control over your work and your tasks. Once you’ve set your blog goals and have a system in place for tracking them and assessing where you are with these goals, the next thing you need to do is to stick to these goals. Here again are some tips to help you do just that. I just have one last reminder before you download today’s freebie. Every single blogger has different reasons why they started blogging. Some want to make money. Others want to improve their writing and research skills. Still others want to gain authority in their field or industry. 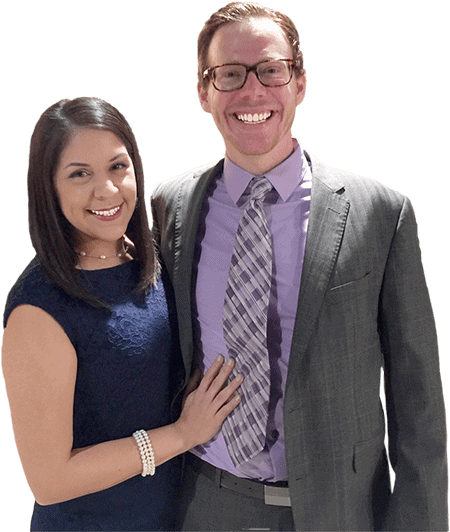 Because of this differences in our “whys,” we all have different goals and different definitions of success. Bear this in mind whenever you’re tempted to compare your progress with other bloggers. There’s such a thing as healthy competition, but there’s also unhealthy competition. In truth, you’ll do better if you only compete with yourself; set SMART goals, stick to them, and attempt to surpass them. The link opens a .ZIP file containing both a PDF file and a DOCX file. It’s recommended to print out the PDF format and write on this workbook. However, for those who prefer typing their goals for any reason, the DOCX format should work in current and older versions of Microsoft Word, as well as LibreOffice, OpenOffice, and Google Docs. You can always print out the filled out .DOCX document and display it close to where you work so you can always see it. Without further ado, here is your absolutely FREE, NO opt-in required, NO strings attached SMART Blog Goals Workbook. Have you set your blog goals yet? Did you find the workbook helpful? Do you have any goal-setting tips or tips to stick to your goals that might help fellow bloggers? Share them in the comments! We can’t wait to hear from you!